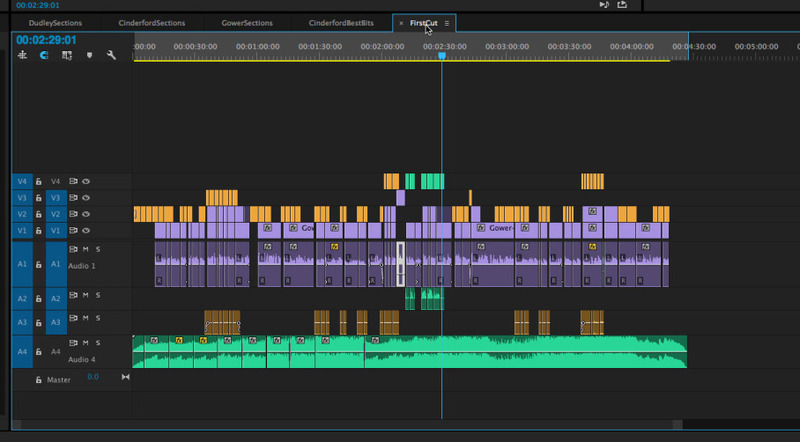 When editing documentary-style projects with interviews, we tend to first cut down our original rushes to sequences containing select highlights, from which we assemble a first cut. I’ve been working on some green screening this week for a project called ‘Question’ we’re working on for Bethel Church, Cardiff. 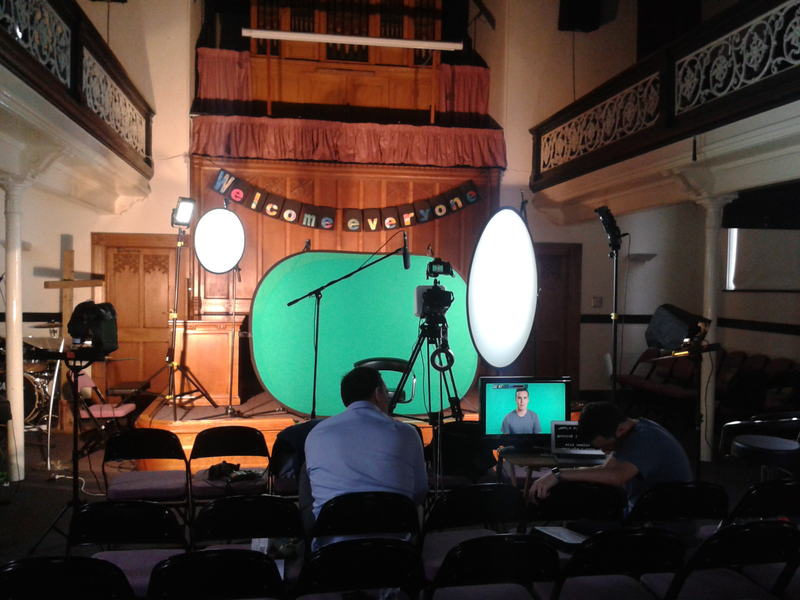 Filming took place in the Bethel Church hall during the daytime. We wanted to control the light as much as possible and so blacked out any natural light coming through windows as much as possible, as well as turned off artificial light sources in the room. Up went the green screen – it was nice to use a pop-up one as you’re able to get a consistent surface far easier than pinning up green cloth. We got the camera set up in a rough position and our presenter (the glamorous Cynan) in front of the green screen. The green screen was lit with two portable floodlights each side that were positioned in order to get a consistent spread across the green screen. For Cynan, a keylight was set up fairly close camera right and a back light further away camera left. Adjustable LED’s were used for this with varying levels of diffusion, created by placing circular diffusers on mic stands in front of each light. We adjusted the positions of the lights in order to get a natural look with no heavy shadows.